Something fundamentally changes in our listening when we know we are going to be responsible for teaching others about something. We become more focused, listening for the lesson we will be teaching, or the discussion we will be leading. And in the process, we are changed ourselves. We can unlock the powers of heaven! The messages go from being platitudes to become personal guides for the here and now in our lives! Is it any wonder that this remarkable change in the curriculum for Relief Society and Melchizedek Priesthood Sunday meetings invites us to take the words of prophets, seers and revelators, special witnesses of Christ, messages for our day, and implement them in our lives more fully than ever before? "if you will come to class each week having prepared for the lesson AS IF you would be teaching it yourself, I promise you will experience a never before reached level of personal revelation and closeness to our Heavenly Father." I don't know if I was the only one who hung on his every word that day, but I was so desperate, I grasped at that promise - I NEEDED it to be true, so I accepted the challenge. I kept a notebook where I wrote notes as I read the lesson - followed through and read every scripture reference and considered the message and how it applied to my life, and how I could teach the principle, what methods would be effective, what stories from my own life it reminded me of, how I might put it in my own words, what questions it brought up, and where I might find answers to those questions. And in very fact, that process lead to the questions, and prayer and a prayer in my heart and in that state of mind, I became hyper sensitive to the spirit. I actually felt the entire Godhead, as three distinct individuals, along with the spirit of my deceased earth father, close by, with me, ministering to me, and answering my questions. It was the most remarkable experience! The agony of isolation, of feeling not another person on earth could relieve my very personal pain, was dissipated with the knowing I was far from alone, I had the attention and comfort and protection and guidance of the most important men in my life, my ETERNAL life, there assisting me. And it was this challenge, to prepare for my religion class as though I was the teacher, that brought this remarkable situation to pass. Here is an outline that we can use to take a talk and make it a lesson. BE AWARE that as you do this, YOU will be benefitted in remarkable ways! The first page is to use during conference. The second page is to use as you study the talk in more depth. TAKE NOTES - Have a pen and paper ready at hand as you listen the first time. What is the first thought that comes to mind during the talk? Jot down these thoughts as you listen. The thoughts that arise will come quickly, and leave just as quickly if not somehow recorded. THIS IS PURE REVELATION - do you recognize that??? But it is fleeting, and so you must keep them from evaporating by recording them. Kind of like taking a photograph of a sunset - or a series of photographs - because the moments of beauty are swiftly gone. So is the beauty of heaven's messages to us during General Conference. ASK QUESTIONS - what questions arise as you listen? Write them down. CALLS TO ACTION - ideas for something you need to do will come to mind - quick! Write them down. What is the parallel between the scripture reference and the topic of the talk? What insights do you see that expand the message of the talk to a deeper level by reading this reference? What other scriptures deal with this same train of thought, or would give further insight? and chapter headings to understand how it applied then and this will help you apply it NOW to YOUR life. What additional scripture stories come to mind? Conference addresses are limited by a strict clock - most certainly the speakers had pages and pages of notes that they had to leave out of their comments in front of a worldwide audience - but YOU do not need to limit yourself, so what does the spirit bring to mind from your previous study of the scriptures? THIS IS REVELATION - directly to you! Explore these stories and see the relationship they have to this topic in your own life. God knows the private parts of your heart. He knows the personal struggles that are uniquely yours. He speaks to you, he answers both prayers uttered and never spoken. 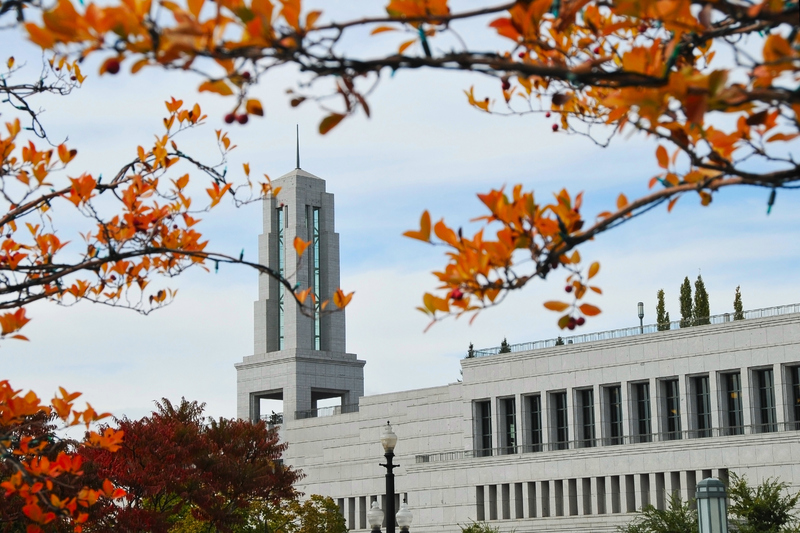 He can, and WILL speak peace to your soul and carefully guide you, and this study of General Conference addresses is one very real and important way he does so. The rest of the world may hear this talk differently. How do YOU hear it? This is God speaking to you! Even if what comes up is more anguish - do not be afraid to explore this, the discomfort we feel can prompt us to seek answers. Answers God is very willing and able to answer, if we ask! Besides using this outline to help you personalize this conference talk, it will become the basis for your lesson. And what these lessons are really meant to do is be a coming together and sharing of ideas - a time for fellowship over the most current issues in our lives. As a teacher, when you allow the class to see how it has impacted your own life, they will feel like sharing their own thoughts and insights, concerns and questions. Without even asking, your thoughts will trigger the thoughts of class members. One share COULD lead to a heartfelt discussion about a topic that is on the minds of class members. Remarkable things will happen as a result. One question will trigger other questions, and answers and communion and the spirit. Someone may come to class with unspoken and unseen burdens that this discussion will inspire clarity and direction for. WHY DO I SOMETIMES FEEL UNCOMFORTABLE WHEN I LISTEN TO CONFERENCE? I have always felt uncomfortable about this topic. It is something outside my comfort zone. I think of myself as not good in this area. I've put off this thing for a long time. It feels like just one more way I am inadequate. My heart is pricked today, I need to reconsider my attitude about this. I've always pointed to others with issues about this, when, now I see, there is room for growth in MY life on this matter. Once you've identified the uncomfortable feeling, ask yourself this question: "When was the first time I felt this same feeling?" Be ready with pen and paper to write your feelings about this. There may be a lot there to look at. Now, ask a prayer for help. Ask God to show you what the truth is. Have you been mistaken about this matter based on some childhood misconception? Do you associate this thing with something painful in your life? Pray for insight. Pray for healing. Use the scriptures to look up this topic. Search on lds.org for further insights. Be truthful and see if maybe in fact, you aren't so bad in this area as you have been thinking. Give yourself some credit for what you HAVE done. Acknowledge your past efforts. If in relationship to this topic, you have been hurt by someone you should have been able to trust, pray for love and light and comfort - heaven is as near as your next prayer - be ready to follow promptings you receive. Write them down and follow through. Your personal study may be a preparation for when you, or someone else, teaches a lesson based on this talk.